If you're not filthy rich, don ’ t have a hoard of incredibly gifted craftsmen working for you and especially if you have a family, then never, ever consider purchasing an old car that is in need of a restoration. This needs some explanation perhaps: if there is any visible rust, any kind of mechanical malady that you notice on a test drive then take it for granted that it will bloody certain need a major overhaul. See, I bought this half-century old Mercedes in Sweden , drove it home across half the map of Europe , finally broke down with it in Germany with just one thought in my mind: have a cool weekend car that doesn't spurge its virtues but is eminently useable. I didn't plan to have anything fancy, I just hoped that in the end I'd have a dilapidated old Merc that is a bit different from the ones running in the streets. Dents? I didn't care about them. Matte paint? Couldn't give it a damn. Rusty bumpers and shiny parts that aren't so shiny any longer? All the better for it. I had a plan of checking the brakes, the suspension, maybe cut back the undeniably horrible paint a bit, have the car registered in Hungary and just use it. But life, as it often does, had its own ways. Since the car was rammed in the rear end by a Finnish lorry on the way home from Sweden and the lubrication in the engine gave up the task in Denmark, by the time the Ponton arrived to Hungary on a trailer, I knew it needed more than just some light attention. 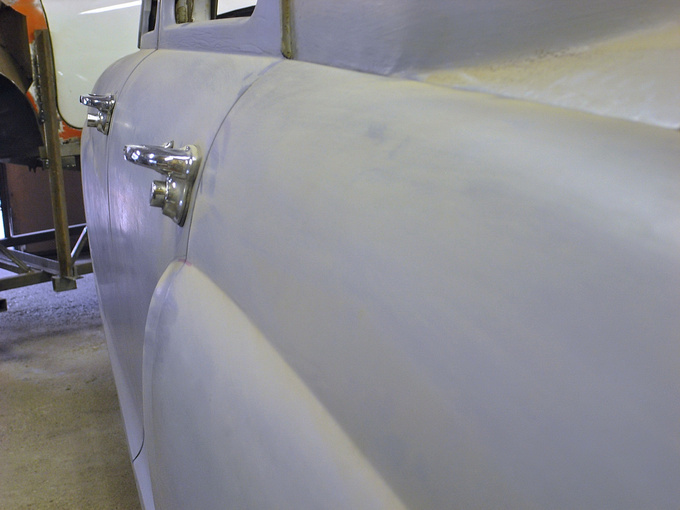 It took lots of time, consumed even more nerves and needed a unique combination of manual skills, understanding of metals and some deep thinking to have all the panels look and function exactly as they were when the car left the factory gates in 1962. In fact the body turned out to be a lot better in the end than it must have been originally because it is nearly impossible to reproduce those irregularities today that had been implemented by the none too perfect mass-production methods of that period. 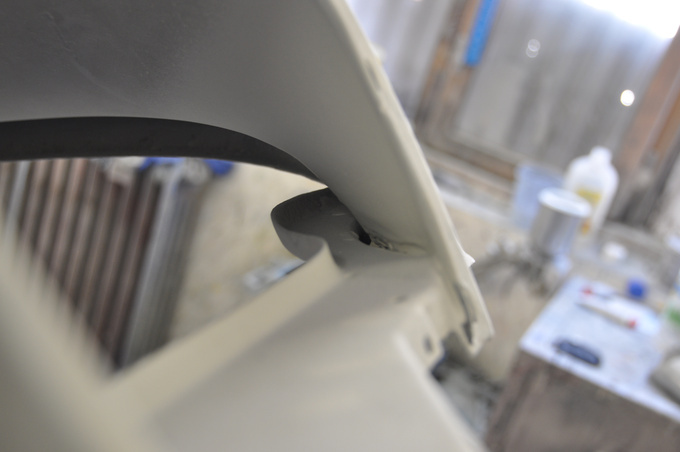 The panel gaps on my Ponton now are all even (originally they could have measured anything between 1.2 and 4 mms), the parcel shelf is symmetrical at the ends (they never were) and at the area where the ends of rear wings meet the rear valance and the boot lid the curves blend in perfectly. Since the car is mine I'm probably a bit subjective but I could rave for hours on how perfect it turned out to be. Of course, the glory isn't mine at all, it goes to my friend Csabi, he should get all the laurels for doing an incredible job. It took him almost six months to get everything fixed to his exacting standards – I tried to hold him back a few times, believe me, seeing my original goals of having a dented but good little car evaporate and replaced by the notion of owning a museum piece. But not even a war can strap Csabi's hands if he starts doing his magic on the panels. Be it Tuesday at 10 PM or Sunday at 10 AM I could never catch him off duty – he was in his workshop all the time, mending the Ponton. I still cannot fathom – when did he eat, shower and sleep? 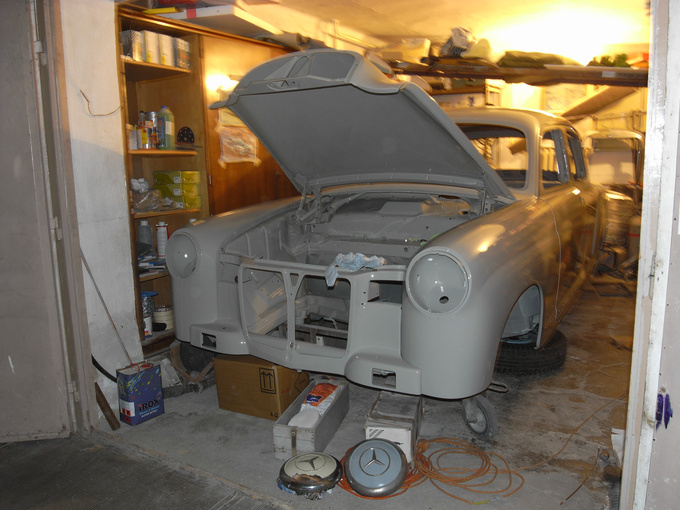 But at this point I was already getting a bit worried about the next step in the process: the paint job of the car. See, I got to know Csabi through an earlier project when he restored a 1972 Mercedes 200 D for me a few years ago. When I asked him to do the Ponton for me, I was dead sure he's the best man I can find. But that other Mercedes was spoiled by the painter to a certain extent – let's say the chap did his job okay but still it was thousands of miles away from Csabi's standards. I needn't have worried this time. Tamás Király, this little man who lives in a village lost in the hills of Northern Hungary and works as a nurse in the daytime is in fact a man in disguise. The thing he does best is painting cars in his free time. You wouldn't believe it but all he has is a small garage behind his house, immeasurable amount of patience and a great deal of knowledge. He doesn't have a paint shop either, he does all the preparations at home and then rents a booth for two days from a car dealer when he needs it. After the extent of welding that was done on the body you'd think it was just a matter of days to splash some paint on it. Nope. 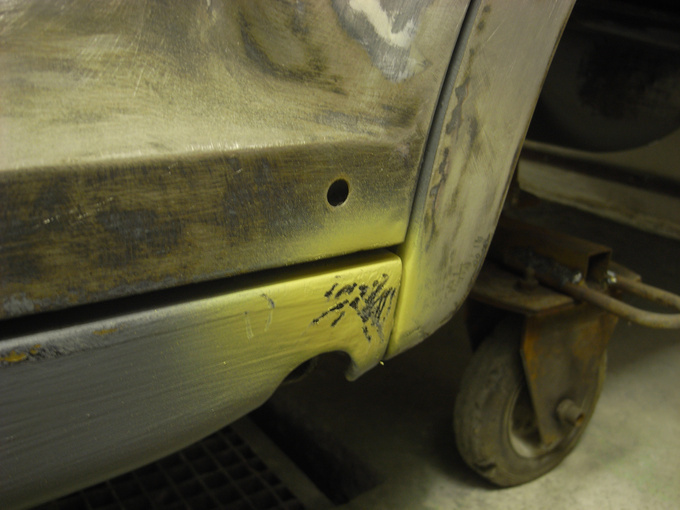 Initially, there was a problem with the rust converter/base paint material that Csabi used after finishing his job: no solvent would remove it albeit one - the epoxy-based primer itself used by Tamás. 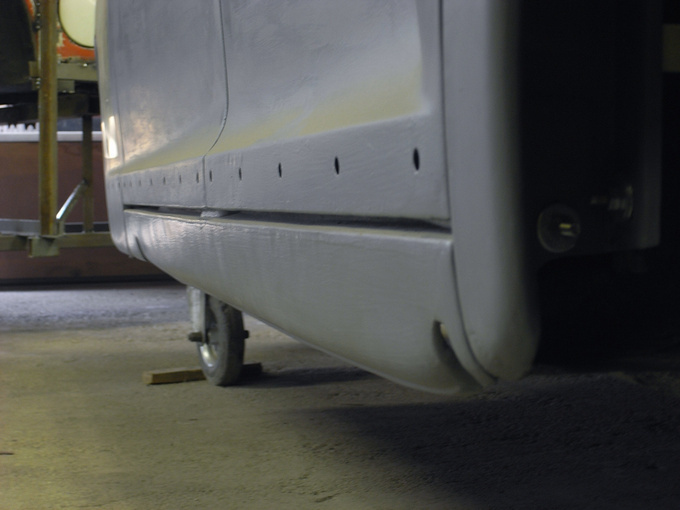 What happened was that after Tamás cleaned the body with all the solvents he had – the list is long – and started to apply the primer, he found that the new layer started to peel off together with base paint Csabi had applied earlier. 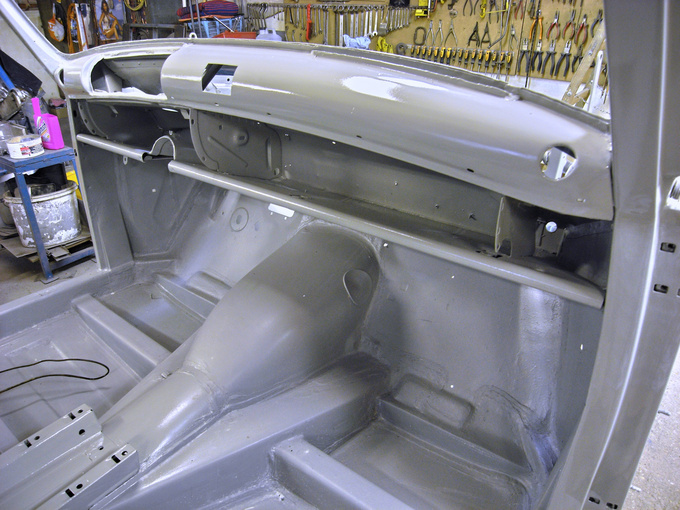 By now you probably reached the same solution as Tamás did: it would have proved the best to coat the whole car in that epoxy-primer and peel the whole darned thing back to bare metal. 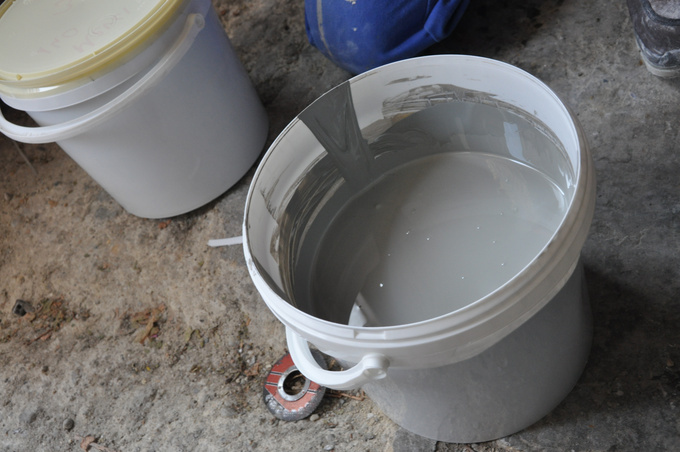 But there was a catch – the base paint clung on at some places, it didn't at some others. With the combined effort of two special solvents, heat and lots of scraping the layers were removed in the best part of two months. 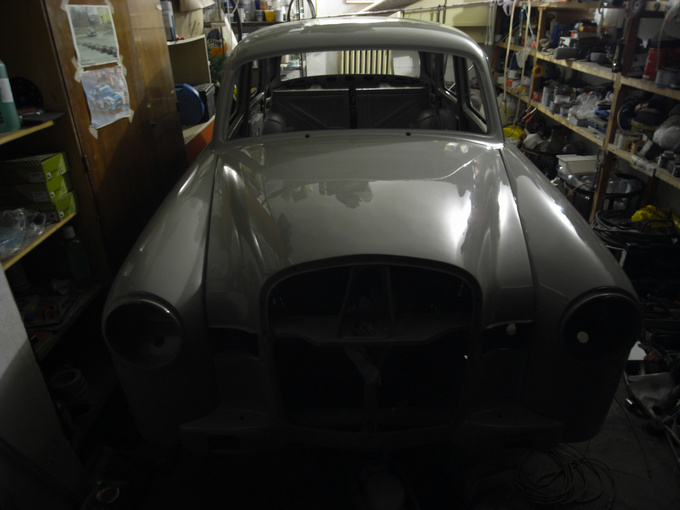 This leads to a question - why didn't I have the body sandblasted in the first place? 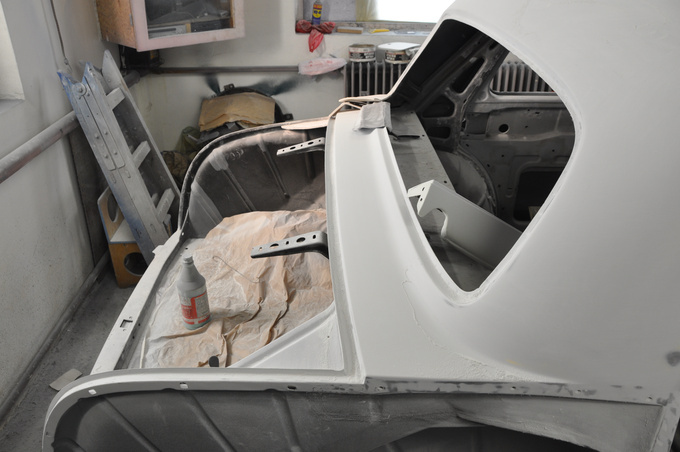 I had two good reasons: if you blast a car you always have some sand remaining in the cavities which comes to the surface when you'll be spraying the panels, no matter how much you vacuum everything. 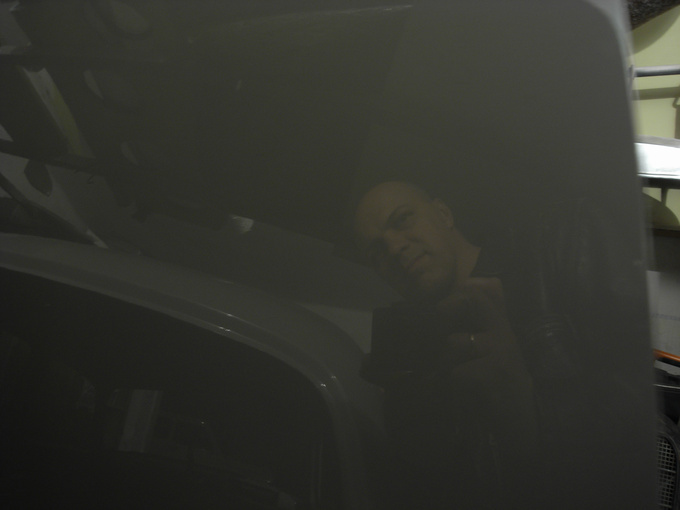 The other is that the body of a car can easily be ruined by a blasting that is just a bit too vigorous. And I didn't want to risk getting back a car that is as full of ripples as a peanut-chewing bulldog's face. Then we had to find out how to coat the underside of the car. The use of black stone chip protection was ruled out with a car restored to such high standards – the bottom had to stay colour-coded. But we needed some kind of mechanical protection. In fact the factory had already been using something soft for the bottom which didn't look like the later-type wrinkle finishes, it was just a layer of some mildly wavy stuff with a consistence like solid rubber. It took another two weeks for Tamás to find out how to emulate that rubbery, wavy, smooth coating with modern materials in a way so that the protective effect is also preserved. In those times I paid a visit to Borsodnádasd – where Tamás lives – every month, I called him every week, sometimes twice-three times. There were moments when I couldn't tell who was more frustrated with the slow proceedings of the project, him or me. Probably the former. 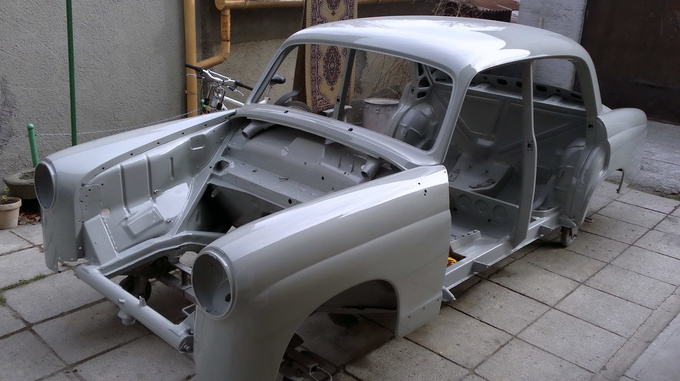 And by the time he started to smooth back the primer coating on the panels, I still hadn't decided on the final colour. My indecisiveness began to take its toll, Tamás started putting more and more pressure on me, since he had to order the paint for the upcoming final move. I have to add a remark here. When you think of cars from the early 60's, you probably imagine light beige, light green, light yellow, light blue, light grey things with flashy chrome details on them– it was an era of pastel colours with some added sparkle. But, and this really came as a surprise to me, the 50's were so much different, that one was a much more vivid era in colours, at least at Mercedes-Benz – probably to make up for the absence of ornaments. 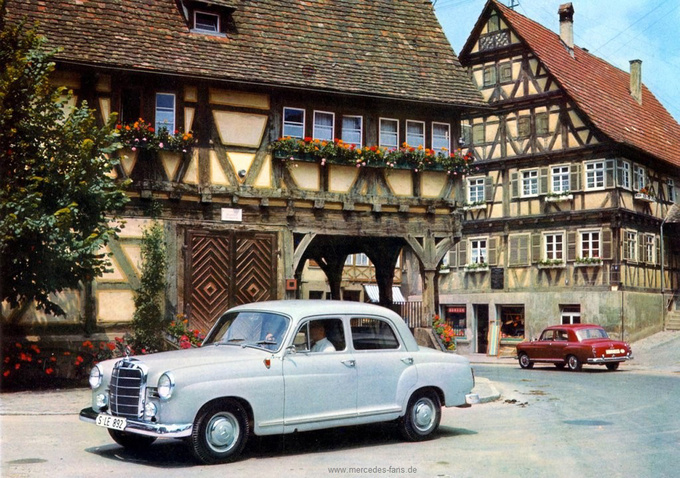 If you take a look at the colour charts of Mercedes you see that the Ponton was sold in at least four times as many shades as its successor, the Fintail. Gosh. I could have a signal red Ponton... or a light green metallic... or maybe a car in a vivid blue hue... I had some sleepless nights but finally I managed to tone down my dreams back to grays again – due much to the fact that I was worried that the style of the interior wouldn't go well with a colour I chose from blot of ink on a piece of paper. In the end I gave in completely, throwing away the ideas of darker shades. I said to myself: if this car was mouse-gray for so many years, I'd just kill its soul by giving it another identity. So I stuck with the original 120 factory code. By morning some pictures already arrived in my mailbox and I was dizzy with anxiety. After all, this was the second time I was celebrating the rebirth of the Ponton – the first one after the welding had ended, the second now. Both took nearly as much as it takes for a baby to arrive in the family. I got to Borsodnádasd late in the evening that day. The body of the Ponton was already resting in another small garage under the house because Tamás was expecting a new project to arrive just a few days later. Alas, the garage door opened and in the twinkling light of a 40-watt bulb I caught the first glimpse of the Ponton's new skin. It really was deeply moving. The bulbous body looked like a huge, strangely shaped mirror amidst all the gizmos in the garage. We rolled it out to the garden and after turning on the outside light and Tamás producing a huge flashlight, we surveyed the beautiful curves that were shinier than my mother's saucepans. I could have shaved in the reflections right there on the spot! Can anybody hand me a Gillette? 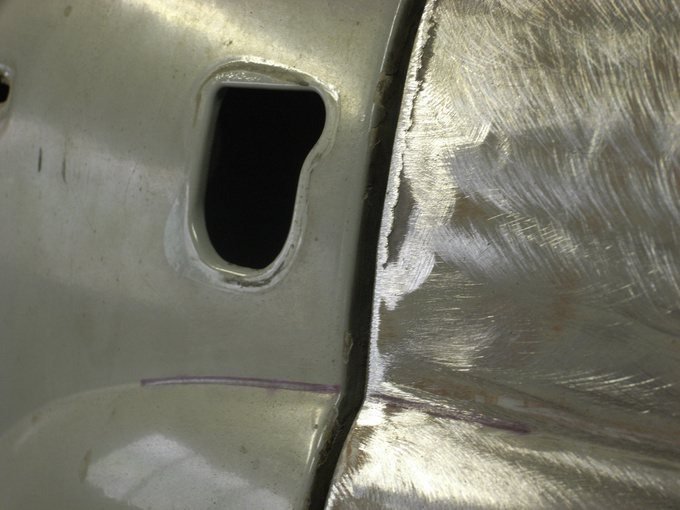 The car was just as impeccable in the hidden crevices, on the underside, in the engine room as on the outside. Never have I ever had a car as beautiful as this. Well... a car's hull, let's say. These two geniuses really complemented each other's work: the perfect basic lines Csabi constructed of metal gave solid underpinnings for the sensitive gloss Tamás put on the panels. 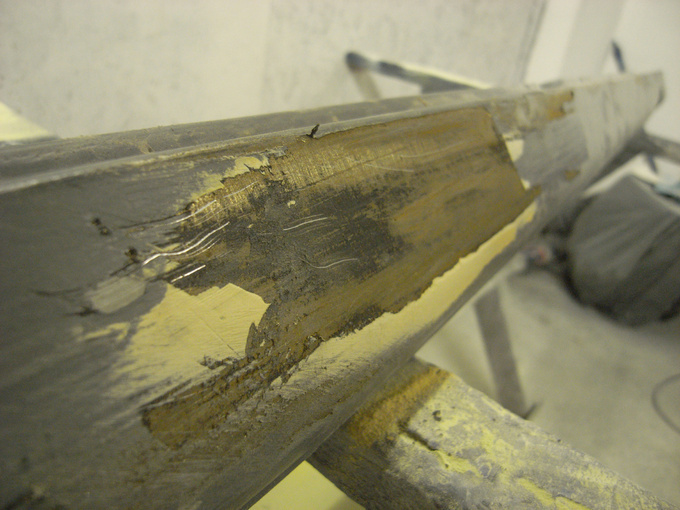 “You can check it with a paint thickness gauge, there's not much filler on it,” laughed Tamás. “And it'll probably last for a while because I used the newest technology chemistry can offer,” he added. To make up for the delay (which wasn't even his fault) Tamás even painted the hubcaps of the car for me. This is a point which many classic Mercedes owners tend to skip because it’s really tough to mask out the star and the outside chrome ring – they just leave the hubcaps plain shiny which is in fact, very nasty on an old Mercedes, it is just as bad as having black windshield wipers. Of course, you can buy special silicone masks to make the painting easier but they fit only one certain type of hubcap, in addition they cost a lot, so it is a waste of money to buy a set if you're not specializing in the painting of Mercedes models. 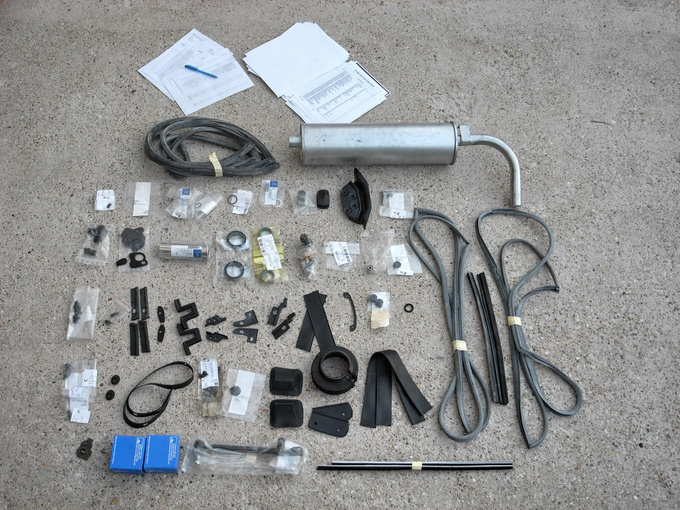 Within three days the car was back at Csabi's garage in Eger because he undertook the assembly process, too. 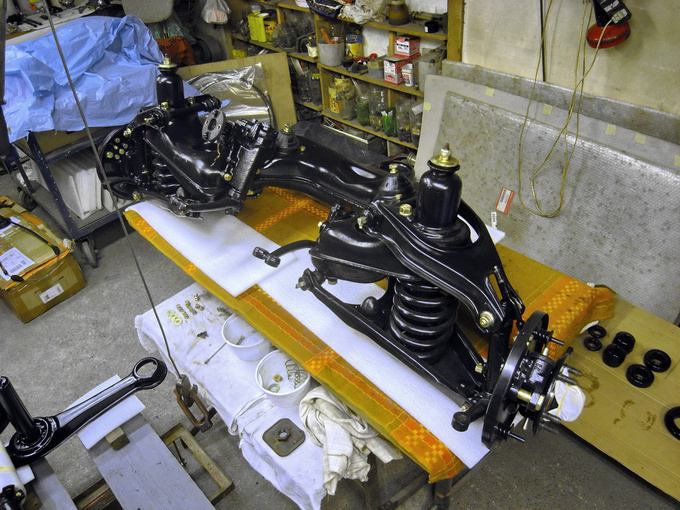 By that time he had the front and the rear suspension, the steering column, the drive train, the exhaust system and the pedal assembly all renewed – what the hell, he had more than five months to do it, he said. In the meanwhile I spent the price of a newish used car on the parts of all the above items. 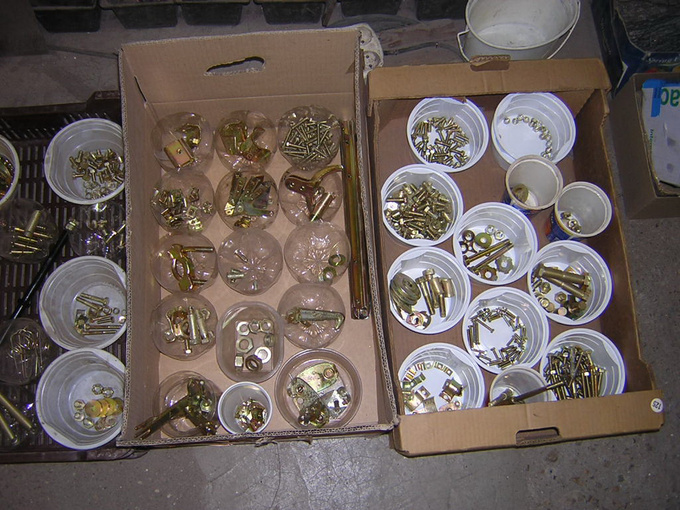 Shims, gaskets, rubber lips, bearings, shafts, O-rings, specialized suspension elements, mufflers, dampers, fasteners – you name it, I had it all in plastic cases or little paper boxes. We finally arrived to the last corner of the race, the finishing line loomed at the horizon. But the track wasn't as straight as I thought it would be. Story coming up! 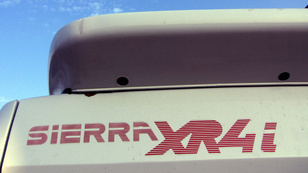 When it was launched in 1982 it stood out like a sore thumb amongst the cars of its day in the parking lots of Europe. The looks were very modern, but the mechanics were on the level of radial engines and wooden propellers.